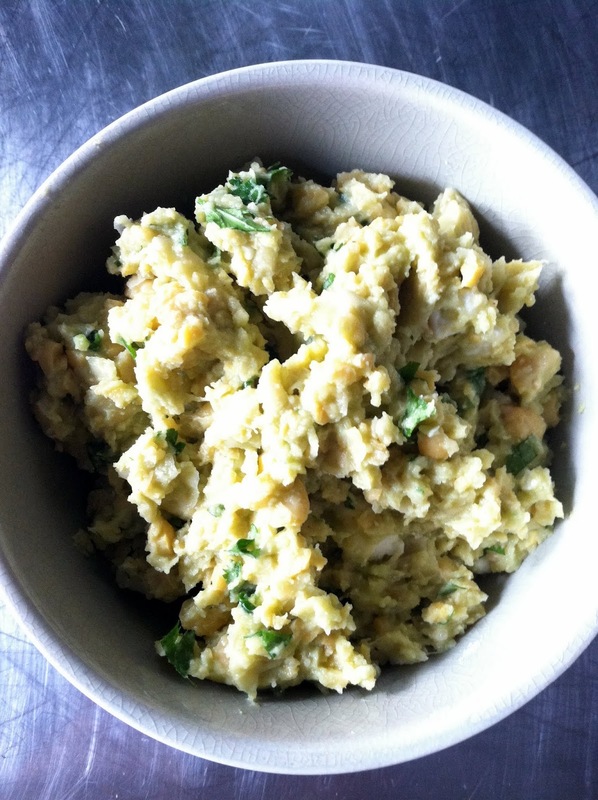 Avocado is a great substitute for mayo – I’ve made some of my favorite chicken salads with avocados as a base – but mashed with chickpeas, combined with a little feta, lemon/lime juice, and cilantro, this was beyond delicious. 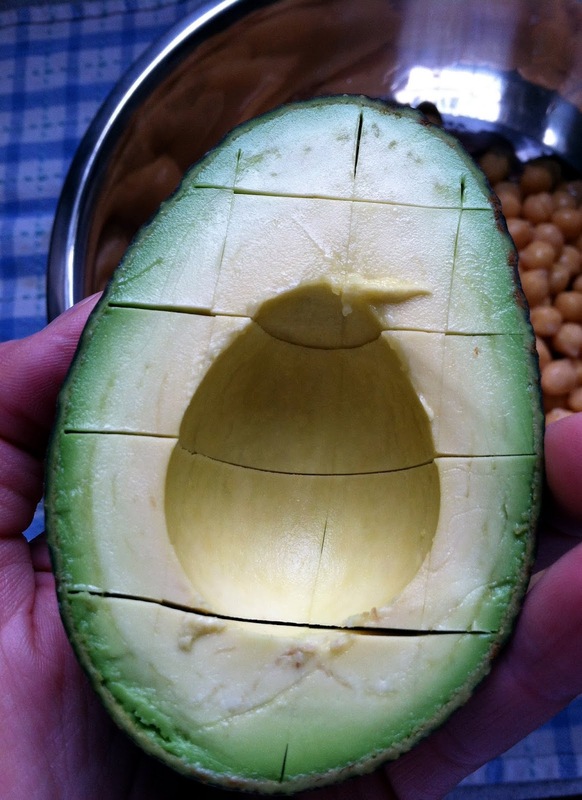 The citrus keeps the avocado from browning, so you can keep this for a full day in the fridge for a healthy snack, or a sandwich filler, or a scoop on top of some salad greens. You get the picture. It’s healthy, it’s filling, and it’s ready in no more than ten minutes, tops. Enjoy. 1. 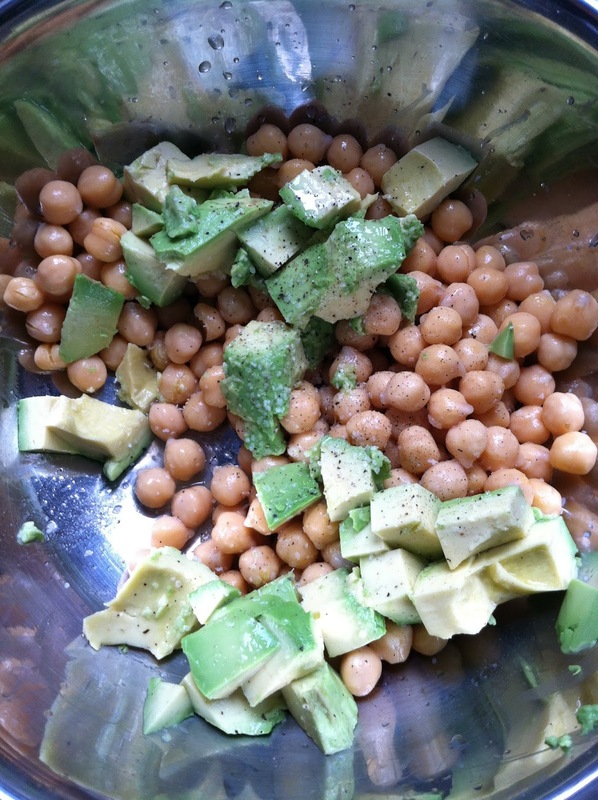 Rinse the chickpeas well and drain them, then add to a mixing bowl. 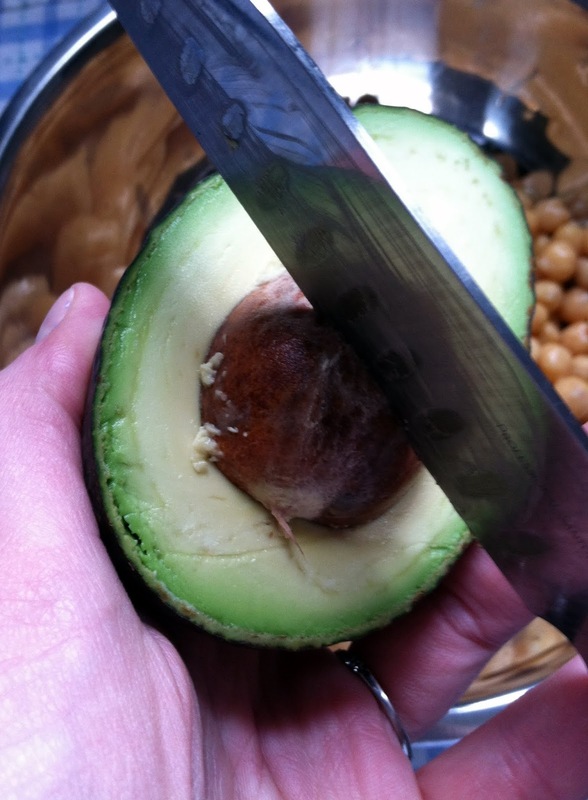 Then, carefully but firmly, thunk (that’s a made-up cooking term) the knife blade into the avocado pit, twist it a bit, and gently pull out the pit. those are some balancing skills, right there! 2. 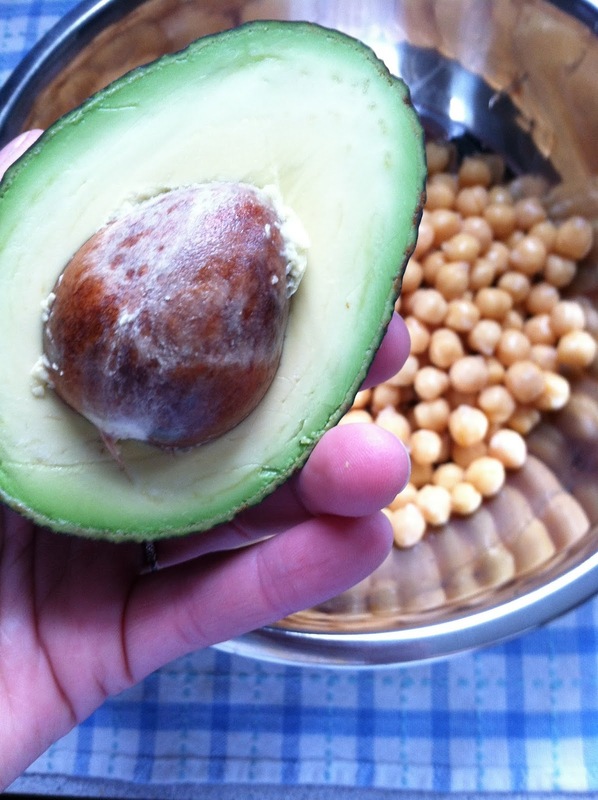 Combine the chickpeas and the avocado, lemon/lime juice, and kosher salt & pepper, and smash it all together. 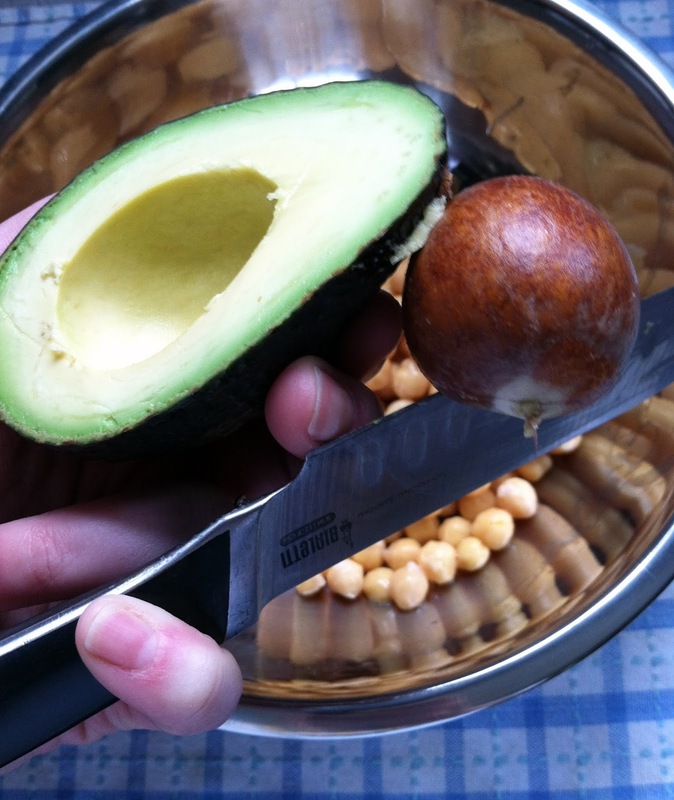 If you have a Potato Masher, this helps to get things started, but finishing smashing with a fork until you have the chickpea/avocado consistency that you want. 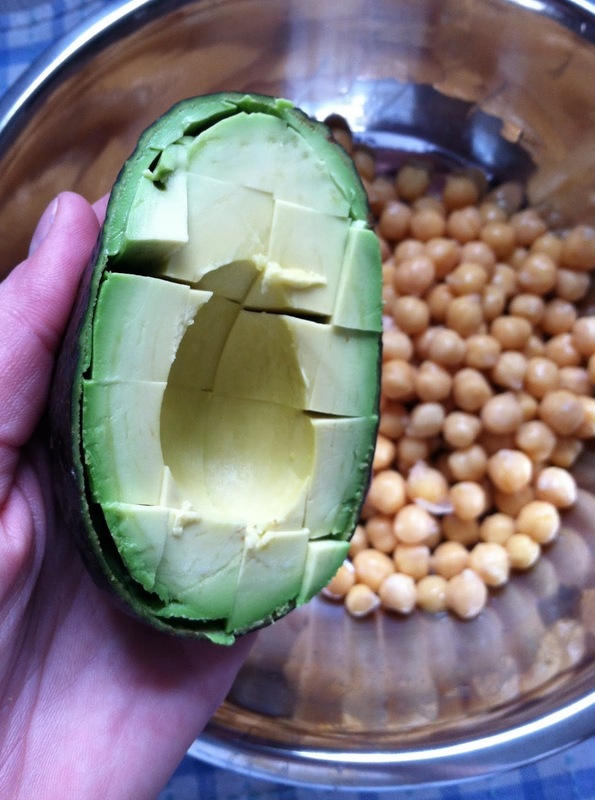 If you want more of a chunkier avocado texture, smash the chickpeas until they’re 75% to the texture you want, then add the avocado to finish. Say smash again. Smash!! 3. 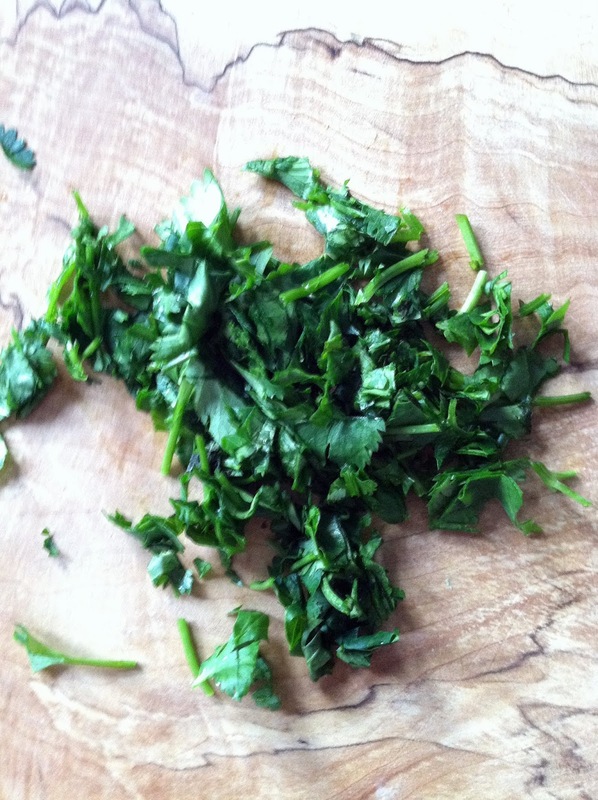 Add cilantro to taste, then feta, then add salt/pepper/lemon juice or lime juice as needed. Sandwich filler? Salad topper? Solo? Any way (or “S”) you serve it, it’s a winner. 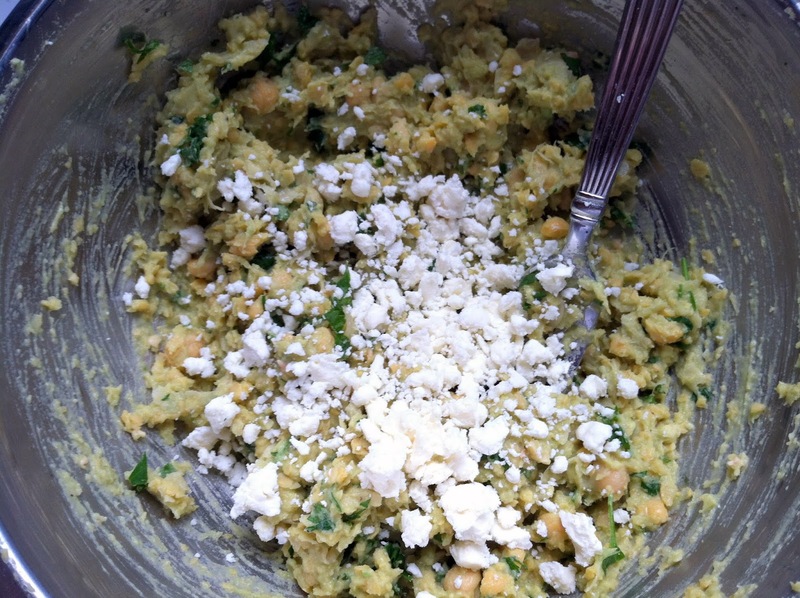 This entry was posted in avocado, chickpea, feta, healthy, lunch, one-pot, sides, simple, vegetarian on January 24, 2013 by westyn. Canned tuna can be so much more than something that’s mixed with mayo, onion, and celery, and served on a sandwich. Mayonnaise kind of skeeves me out, but I get that it’s unavoidable sometimes. 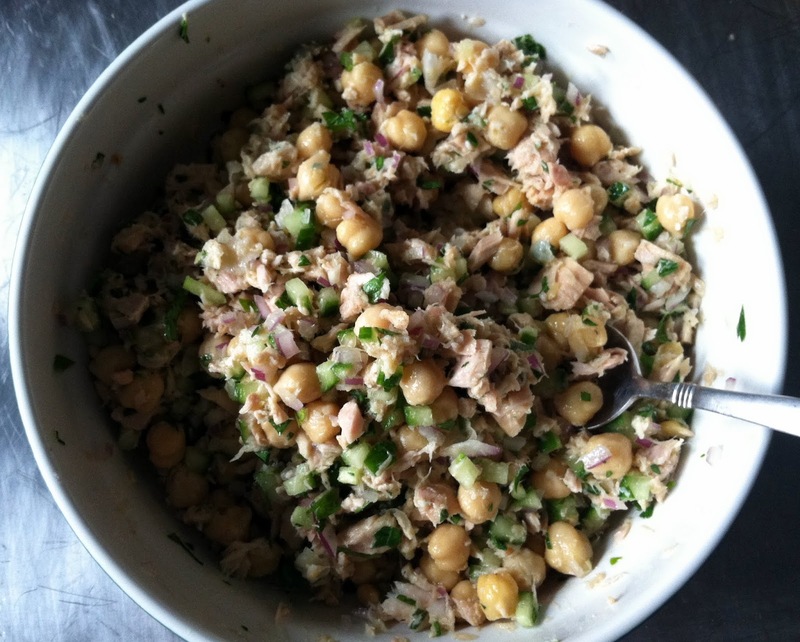 This tuna salad, however, substitutes mayo with an olive oil-lemon vinaigrette, adds chickpeas, and some teeny tiny pieces of red onion and english cucumber. It’s fresh, light, and healthy – and actually keeps really well for up to 2 days – I think it’s a perfect lunch. 1. 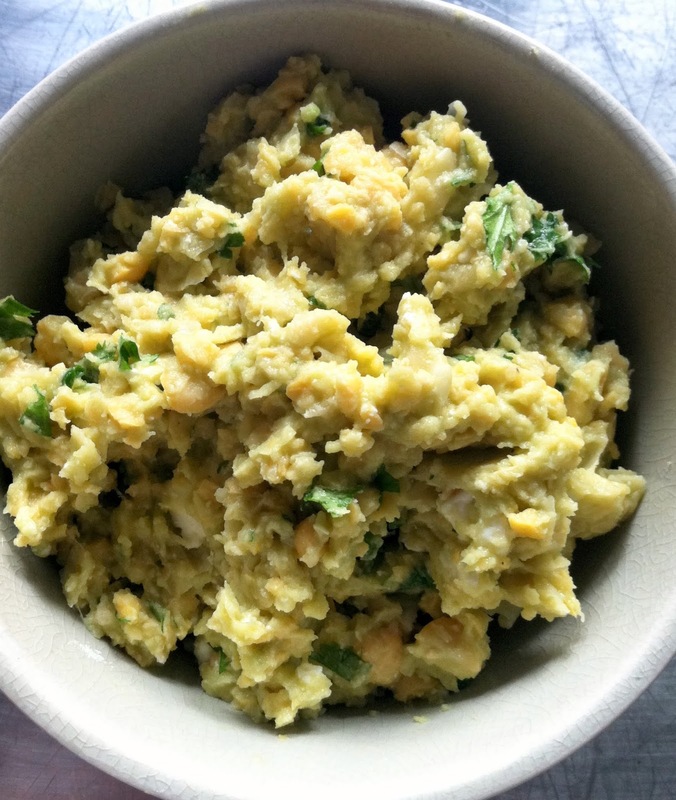 In a medium size bowl, combine chickpeas, tuna, and parsley. 2. 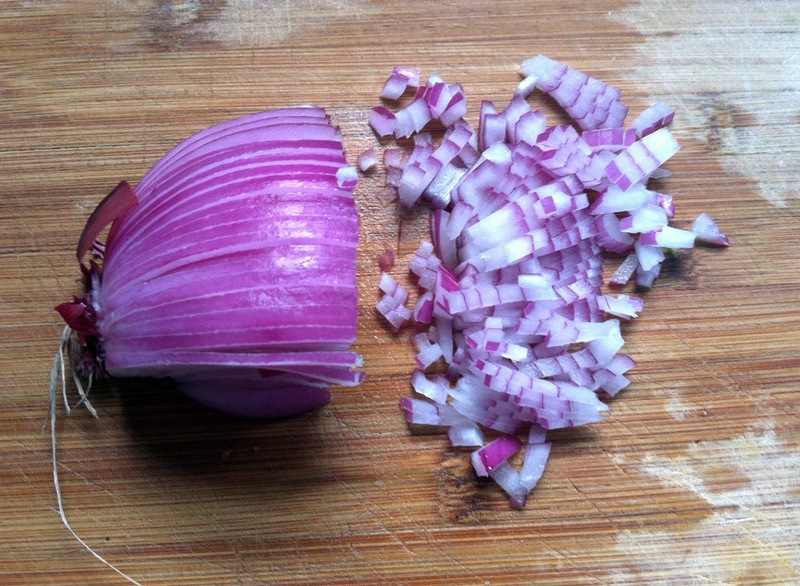 Finely chop the cucumber and red onion. The tiny size of these pieces really “makes” this salad – the overall taste is just different, somehow, from a salad that would have larger chunks of cucumber and red onion. 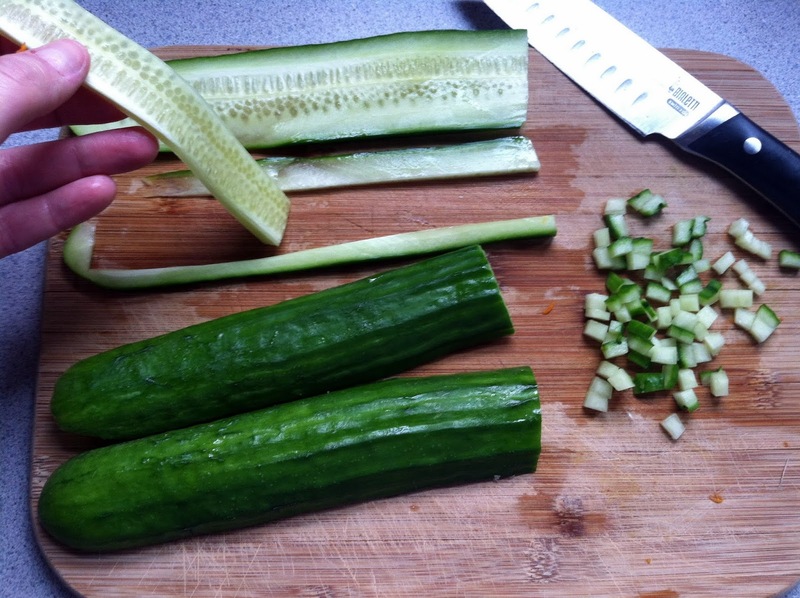 Remove the middle “seeded” part of the cucumber (even though english cucumbers are seedless) to get a little more color from the dark green skin of the cucumber. 3. 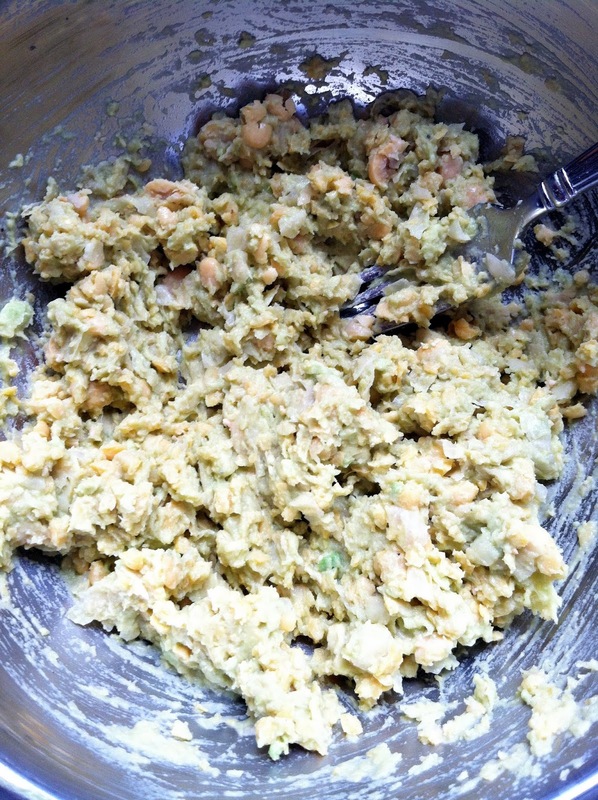 Add cucumber and red onion to chickpea/tuna/parsley mix. 4. 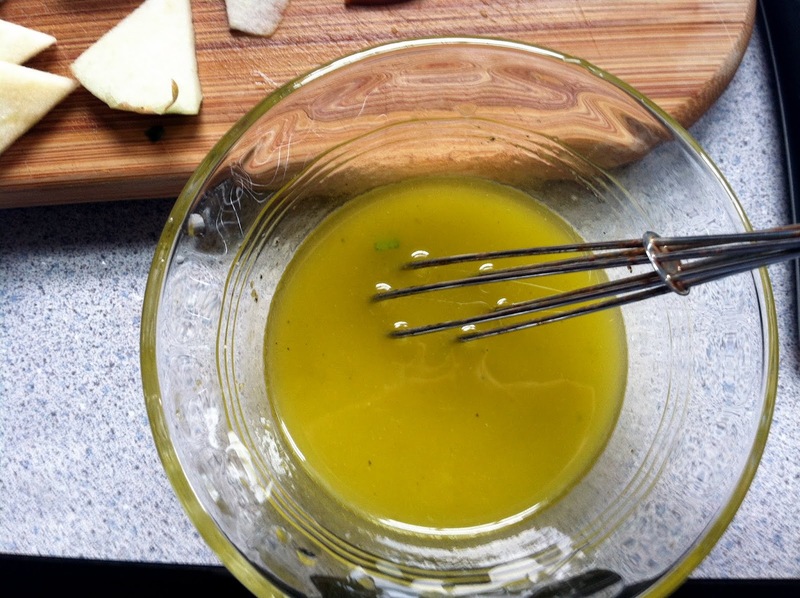 Combine dressing ingredients, adjust seasonings to taste. 5. 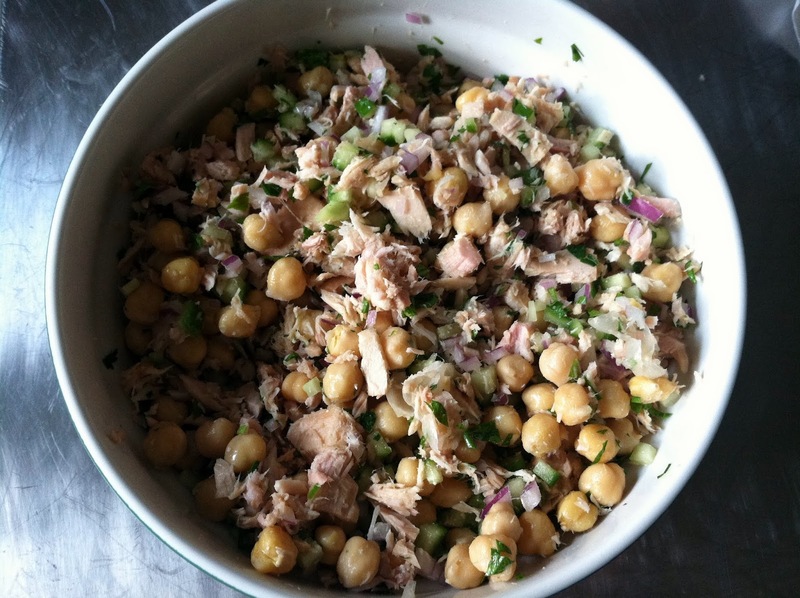 Pour dressing over tuna/chickpea/cucumber/red onion mixture. Stir well to combine. 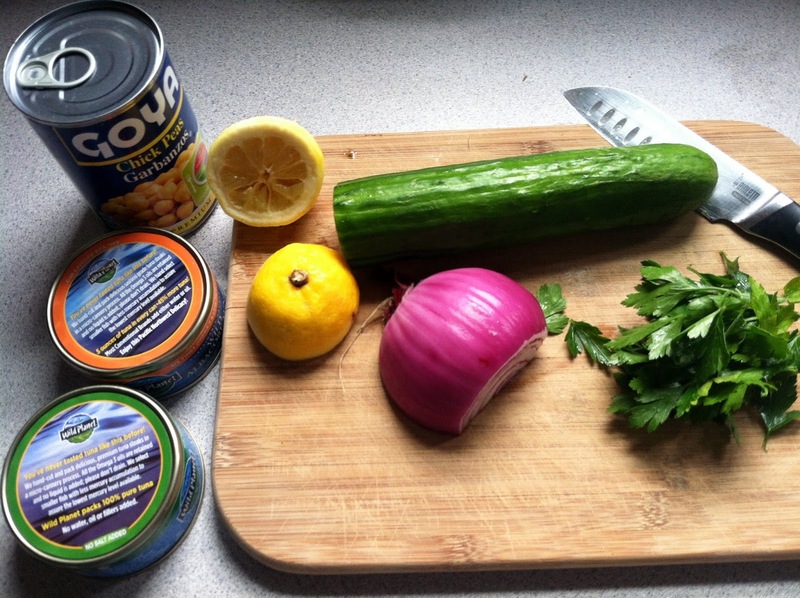 If tuna seems a little dry, add more olive oil and/or lemon juice to taste. Serve by itself or in a wrap with some lettuce. This entry was posted in chickpea, gluten-free, healthy, lunch, no mayo, salad, simple, tuna, vegetarian on October 25, 2012 by westyn.